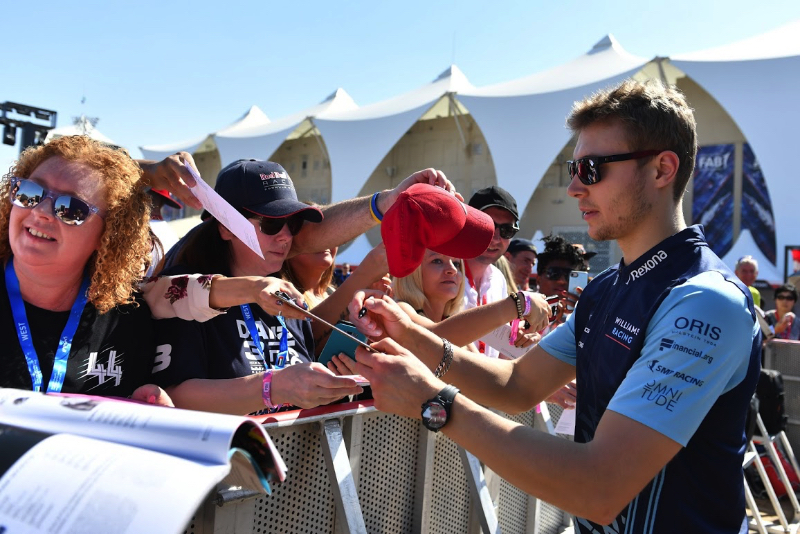 Sergey Sirotkin says he hopes Williams improves in 2019. The Russian admits he was devastated to learn that he would be left out of this year's driver lineup. Williams is instead lining up with Robert Kubica and F2 champion George Russell. "It is a rather strange sensation," Sirotkin, who is still with the SMP Racing programme and will contest Le Mans this year, told Izvestia newspaper. "On the one hand, the passions diminished. I returned to Moscow," he said. "On the other hand, of course, it was a blow to my ambitions. I was offended to leave formula one after such a difficult season and the work that I did with the car." Sirotkin, 23, says F1 is "an environment that changes you not only as a driver, as an engineer, but also as a person". "Constant pressure, attention of the press, exhausting training. All this makes you set a much higher goal," he explained. "I can confidently say that my life was divided into before and after when a was a Williams race driver." Sirotkin says his father Oleg Sirotkin, head of Russia's National Institute of Aviation Technologies, "is just as upset as I am". "Dad gave me support," he said. "We have the same idea of why it happened, we understand this decision." As for whether he will return to F1, Sirotkin answered: "So far I cannot say anything on this topic. Let's wait a bit." He was also asked what he thought of Williams' chances for 2019, given the loss of Rob Smedley and the team having finished dead last in 2018. "This year, the rules are changing so you could say that the chances of the teams are levelled. No one will initially have an additional advantage, which makes it possible to improve in some areas and be competitive," Sirotkin said. "I only want to wish Williams good luck. I spent a year in the team, putting a lot of effort into the development of the car, and so I hope that, despite a number of internal difficulties, the team will develop. "I am not sure that will be so vividly visible from the results," Sirotkin added. At the same time, he expects Mercedes to remain at the front, but with the regulation change, "It will be very difficult for them to maintain the leadership". "I think that this will be the most difficult season for Mercedes of the past five years," Sirotkin concluded.